You can find step-by-step instructions in Chapter #41 of my "Ductwork Installation Guide" book. 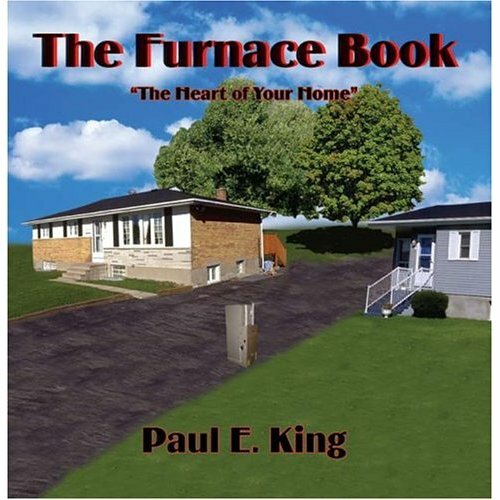 This is the place where the people who have purchased one of my books or paid pages can say "Thank You", join others and show their accomplishments in the field of ductwork installation! Write and Earn - If you are the owner of an HVAC company this new offer is for you! It's been a while since I last wrote to you. I just got around to finally offloading pictures of my project to the laptop. 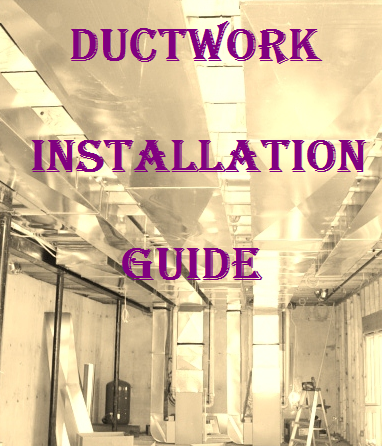 I am happy to let you know that with the help of your Ductwork Installation Guide book, my project is now completed. It'll still take some time to spackle, sand and paint all the walls where drywall had to be removed. But the main thing is that the system is operating very well and is evenly cooling the entire house. My friend, a professional HVAC installer who helped me calculate the ductwork size and charge the system, was especially impressed with the fire blocking techniques I used (thanks to you). He even took pictures to share with his colleagues. I'd love to hear what you think of the shots attached. Same as above, shows completed fire blocking. Same thing was done for every duct. Same as above shows p-trap, pressure and suction lines connected. The system is running at the moment. Shows the 2 8" return cavities covered with drywall. Return register installed. Shows 2 8" returns in an external wall. Uses 3.25 of wall cavity as a custom return duct. Insulation installed behind the metal sheet and the cavity is capped at the opening' top. Are Cold Air Returns Needed in a Basement? I'm remodeling my basement. It has 4 heat vents and no cold air returns. The basement is always cold. Do I need to add cold air returns to get the warm air to circulate? If so , can they be cut right into the main cold air return in the furnace? The furnace room has louvered doors so there is circulation to the furnace. I understand that you want to learn about the cold air returns in a basement. I have found a great website that gives your all the information you need. I attached the link below if you are interested in viewing. I hope this is helpful! I am really impressed with your writing skills and also with the layout on your web blog. Is this a paid theme or did you customize it yourself? Anyway keep up the nice quality writing, it's rare to see a nice blog like this one today. Thanks a bunch for sharing this with all of us you really understand what you are speaking about! Bookmarked. Hello there I am so delighted I found your website, I really found you by error, while I was searching on Google for something else, Anyhow I am here now and would just like to say kudos for a tremendous post and a all round thrilling blog (I also love the theme/design), I don't have time to read it all at the moment but I have book-marked it and also added in your RSS feeds, so when I have time I will be back to read more, Please do keep up the excellent work. I like the valuable information you provide in your articles. I will bookmark your weblog and check again here frequently. I am quite certain I'll learn a lot of new stuff right here! Everything is very open with a precise clarification of the challenges. It was definitely informative. Your website is useful. Many thanks for sharing! Hi! I realize this is somewhat off-topic but I had to ask. Does managing a well-established blog such as yours require a lot of work? I am brand new to blogging but I do write in my journal every day. I'd like to start a blog so I can easily share my own experience and thoughts online. Please let me know if you have any kind of recommendations or tips for new aspiring bloggers. Appreciate it! I absolutely love your site.. Excellent colors & theme. Did you create this web site yourself? Please reply back as I'm wanting to create my own personal blog and want to know where you got this from or exactly what the theme is named. Appreciate it! It's a pity you don't have a donate button! I'd most certainly donate to this outstanding blog! I guess for now I'll settle for book-marking and adding your RSS feed to my Google account. I look forward to new updates and will share this website with my Facebook group. Talk soon! You really make it appear so easy with your presentation but I find this topic to be really one thing which I think I might by no means understand. It seems too complex and very wide for me. I am having a look ahead to your next publish, I will attempt to get the hold of it! Please let me know if you're looking for a article author for your weblog. You have some really good articles and I think I would be a good asset. If you ever want to take some of the load off, I'd absolutely love to write some content for your blog in exchange for a link back to mine. Please send me an email if interested. Many thanks! Hi there to every body, it's my first pay a quick visit of this web site; this blog carries amazing and really fine stuff designed for visitors. I have been exploring for a little bit for any high-quality articles or weblog posts in this sort of area . Exploring in Yahoo I finally stumbled upon this website. Reading this information So I'm satisfied to exhibit that I've an incredibly excellent uncanny feeling I discovered just what I needed. I so much unquestionably will make sure to do not disregard this website and provides it a glance regularly. Magnificent goods from you, man. I've understand your stuff previous to and you are just extremely wonderful. I actually like what you've acquired here, really like what you are stating and the way in which you say it. You make it enjoyable and you still take care of to keep it smart. I can't wait to read far more from you. This is really a wonderful web site. I'm glad I found your site, I don't mind paying as this is lots of hours putting together so many information, its worth every penny, I want to use this as a reference, its very well made. I have been in the HVAC Service Field for many years and I am now branching out more into the installation of duct work. The Ductwork Installation guide had step by step instructions, and is very well written and informative for the layman to understand. I use to have problems doing offsets and this book explains it, in its simplest form. I did substantial research on finding a Ductwork guide that would give much detailed information as possible, and your book was the most informative one I could find with the opportunity to get updates in the future. I am very glad that I purchased this and I look forward to viewing your website for more project information as needed.